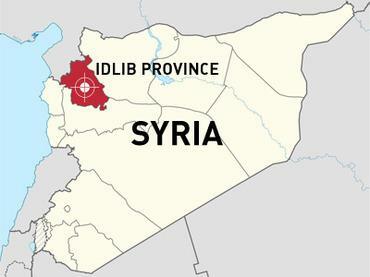 CNN warns that Syrian and Russian forces are closing in on the "last rebel stronghold" in Syria while characteristically failing to inform its readers that the "rebel" coalition in control of the northwest pocket of Idlib is but the latest incarnation of al-Qaeda, calling itself Hay'at Tahrir al-Sham. With the final major battle looming which could mark the ultimate end and final chapter to the war, the Western public is about to be subjected to a final end-all media onslaught of "the last hospital" and "the last school" and "the last humanitarian rescuers" type stories similar to how the media presented the battle for Aleppo in 2016. Starting this past weekend, the refrain started: "Humanitarian groups fear a 'bloodbath' as Assad looks to press the advantage and wipe out the last pockets of resistance," as NBC reported, which was echoed across a dozen other outlets. There's now even an Idlib version of "Bana" that popped up on twitter only a month ago. Six-year old "Hala" supposedly set up an account to publish awareness videos telling the world to keep their "eyes on Idlib" ahead of Assad's impending military campaign. However, there are some few outlets out there that recently decided to finally drop the worn out transparent charade of "moderate rebels" and simply call Hay'at Tahrir al-Sham for what it is. Business Insider, for example, accurately labels Hay'at Tahrir al-Sham (HTS) a terrorist group in some of their recent headlines, and has called the al-Qaeda affiliate, "the next ISIS". But it appears that HTS is set to be wiped about before fully establishing control as the next ISIS as Syrian government ground forces and the Russian Air Force have already begun eroding their perimeters, which had been established when al-Qaeda first took Idlib city and much of the surrounding province in 2015, with US and UK coalition help. 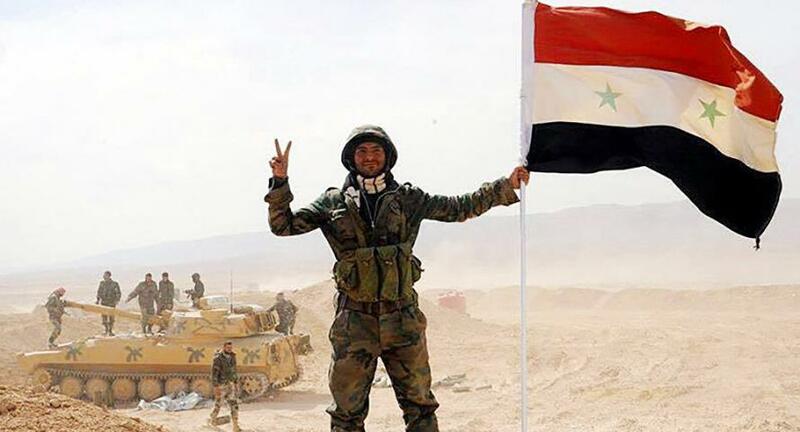 Over the past days and weeks, massive Syrian troop and heavy armor deployments have been seen amassing outside the al-Qaeda held province, poised for a final offensive. This after Syria's southern Daraa and Quneitra provinces were liberated in a mere matter of weeks. But perhaps the greatest sign that the writing is on the wall for Syria's "the last rebel stronghold" (to repeat CNN's words), there are new reports that Britain has cut off its longtime support to the "moderate rebels" it has for years throughout the war funded and armed. On Monday a UK government spokesperson confirmed the following: “As the situation on the ground in some regions has become increasingly difficult we have reduced support for some of our non-humanitarian programming, but continue to deliver vital support to help those most in need and to improve security and stability in the country,” according to Reuters. This is in essence the UK finally admitting its side has lost — though we should note its "humanitarian funding" will continue to flow to controversial groups like the 'White Helmets', who have long been proven to work in tandem with al-Qaeda.